Do you know why Delwara is known as the ‘Town of the Gods’? Not just the city of lakes is beautiful but also its surrounding area is awestriking. Located just 26 KM away from Udaipur is a small town named Delwara (not to be confused with Dilwara Temples of Mt. Abu). Delwara is quite famous because of the architecture of the monuments and buildings there but majorly it is known for being named as the ‘Town of The Gods’. Let us read why the place is known with such an unusual name. Delwara is known as the ‘Town of The Gods’ simply because of the fact that the place has a high density of temples. It is evident that the town contains almost 2 to 3 temples in every street. Originally, it is said that Delwara had as many as a thousand temples out of which 400 were Jain Temples. Due to the same, Delwara was once known as ‘Devkul Paton Nagri’ which means the town of the gods. There are various temples which still exist in Delwara in good condition, and are in fact great places to visit in Delwara near Udaipur. This Talab (small lake or pond) was built in AD 1800 by Rani Sajjan Kumari in the fond memory of her husband, the Jhala prince Mansingh, who died at a very young age. It is after his name, that the lake is also known as Mansarovar Sagar and is the major source of water of the town. Another thing made for the king Mansingh is this beauteous white marble statue, standing 2 meters high, in the center of Sajjan Vatika opposite the Bhagwan Vaikunthnathji temple. This temple is dedicated to Bhagwan Parshwanath, the 23rd Tirthankara of the Jains. One amazing feature of this temple is a chamber about 5 meters underground, which houses 13 stunning idols of Jain Tirthankaras. The main temple has a gratifyingly carved idol of Bhagwan Parshwanath made in black marble. The name of this stepwell is due to the fact that it has triple entrances. It was built by the Shrimali Brahmins for performing the traditional rituals related to the temples of Vaikunthnathji and Hanumanji which are situated nearby the Vav. 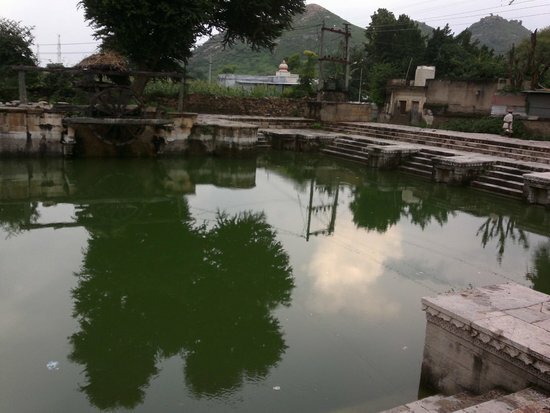 Indra Kund is one of the major attractions in the Delwara and was built by the king Rana Bairisalji. The kund was blessed in AD 1856 and a month-long festivity was held to the mark the blessing. The kund has stunning examples of stone carving and has a depth of 15 meters. The temple is located close by to the Indra kund is also known as Kundeshvar Mahadev. This Shiva temple was built before the Indra kund and was under the local ruler’s terrain. The temple has a lingam encircled by three faces of Lord Shiva covered by a cobra, the idols of his companion Parvati and the bull Nandi which was his vehicle. According to a folktale, an idol from Dwarka flew on its own from and landed at the mandir. The shrine is said to have built here. The builder of the temple was a devotee of the lord, his was known as Shri Padmaji and has statue installed in the premises of the mandir. This temple is temple belongs to the Teli community; Shri Padmaji was also a Teli. It stands on a platform 16 steps high and was restored by the King of Delwara Raghodev II in the year 1927. This temple is a sacred place for the Gametis which is a sub-caste of the Bhil community. The temple is built in white marble and has 149 pillars and 52 shrines. The main shrine is dedicated Bhagwan Adinath, the first Tirthankara. Another noteworthy place is the heritage hotel Raas Devigarh palace, which is the prime attraction other the temples here. Devigarh was once the residence of the kings of Delwara, from mid-18th century till mid-20th century. Delwara, the ‘Town of The Gods’, no wonder is a beautiful destination near Udaipur which is not much explored by the travelers coming to the city of lakes. 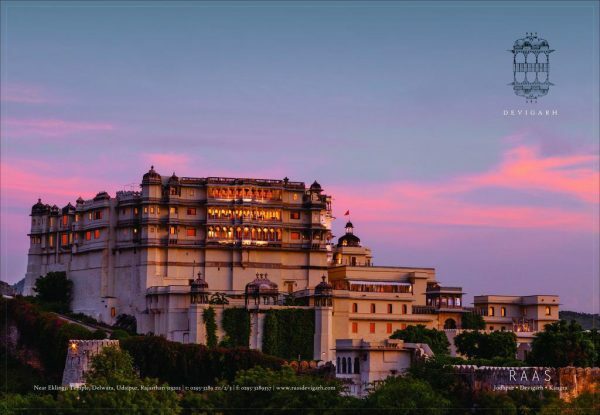 You can take a public transport such as a bus from Udaipur or if you have your own vehicle, Delwara is approximately a 35-Minutes (26 KM) drive from Udaipur via NH58.